At Pebble Beach Nursery we provide a high quality and safe experience for your child. This can only be achieved through the careful selection of staff. We know that Pebble Beach’s friendly, capable staff are the backbone of our organisation. The nursery is staffed with highly motivated, qualified and experienced staff. Every worker undergoes a DBS check which must then be backed up with references. Our nursery manager is responsible for the smooth day to day running of the nursery and is fully supported by a dedicated team of highly professional, qualified nursery nurses and experienced support staff. Every member of staff attends regular on-going training in order to continue their professional development. All staff recognise the importance of working in partnership with parents: we value, and actively seek the contributions parents make towards the care and education of their child. We welcome your input so that we can always improve the provision, which in turn will enable us to ensure that you and your child have an enjoyable experience that can be looked back upon with fond memories. 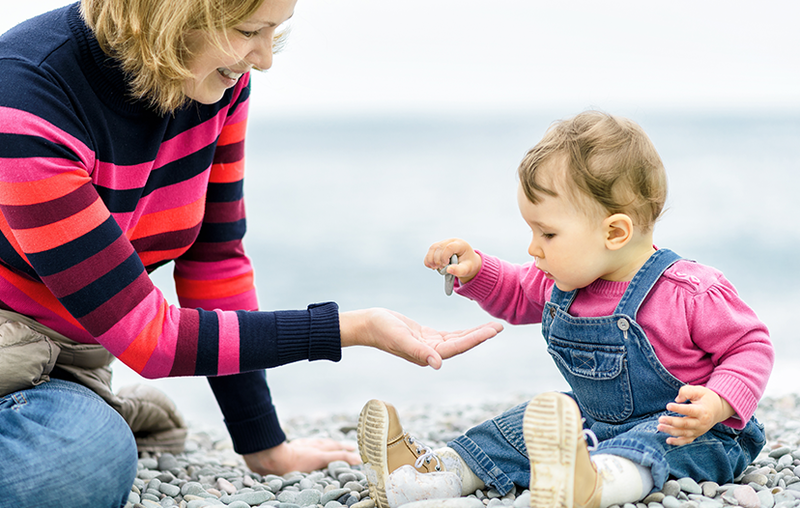 When your child starts at Pebble Beach Nursery you will be allocated to a ‘key worker’, and before your child attends you will have a chance to meet with your key worker so that any concerns can be discussed. Your key worker will work closely with you so that the individual needs of your child are met at all times. The communication between yourself and the key worker is very important and you will be given detailed information about your child’s activities and what they have eaten each day.